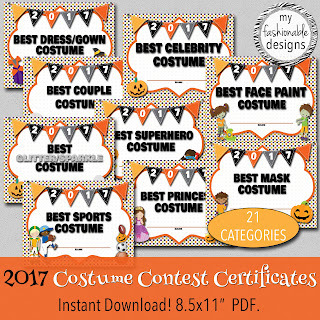 My Fashionable Designs: Back in my Shop: Costume Contest Certificates!!! 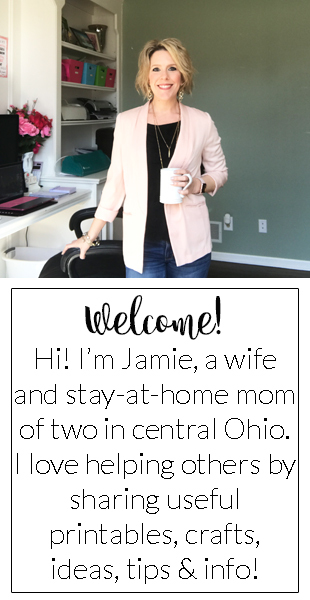 For details, pricing info, and credit to clipart artists, please visit the listings in my Etsy shop via the links above or http://myfashionabledesigns.etsy.com. 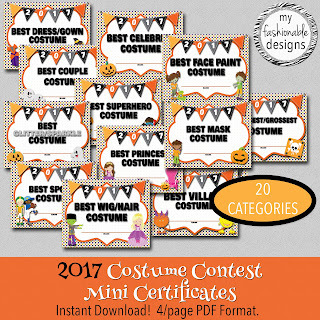 I would definitely use this code in order to get 2$ off on each costume contest certificate.Thanks for providing this discount to your followers.